VNC Connect enables you to remotely access and control your devices wherever you are in the world, whenever you need to. VNC has a widespread user base from individuals to the world's largest multi-national companies utilizing the technology for a range of applications.
" Easy, fast and secure connection tool in a LAN network"
Very good tool for remote connection in an internal LAN network. Excellent tool for fast connection, configurable for connection through a pre-established password through an ip or computer name within the same network, visually adjustable when connecting to a computer, sharing network resources, compatible with platforms such as Thin Client (HP) equipment. As user or recipient of connection, exception through firewall, secure connection, remote assistance or only visual, establishment of global permissions, enable or disable mouse and keyboard for incoming connections, quick view of computer identification for remote connection. In general terms, fast basic tool to use, fast and safe remote connections. Perfect solution to give remote support in an internal network, fast and easy to use. Where I work, is the main tool to support internal users in the company, fast connections to equipment already properly identified if not, displaying the shortcut of the vnc in the background can see the computer's ip. Pre-established configuration by network administrators, easy and fast remote support. It's simple and bulletproof across all OSes I use and support. Great value as well. Compare with other solutions to make sure it works for you and your needs. Easy and reliable for remote access and and remote support of workstations and servers. What Remote Desktop solution do you use? "Much cheaper than existing remote control softwares, yet sufficient." There are many remote control softwares. The most famous one should be Microsoft's remote desktop. However, it needs to set your router so that you can control your computer from outside of your home network. There are still more other softwares you can control your computer from outside, even from overseas. Sometime those are very expensive, but Real VNC is much cheaper than those commercial softwares, yet it has sufficient functions. It doesn't support my local language. I'd like to ask to support more languages. There should be a broad market. At first, its connection response was very slow, but it was fixed. Now I am satisfied. To control my server which is operating numerical simulations for my study, and to support my family member's computers. I am lucky that I met this software. "Great remote desktoping software "
Guiding someone through setting up VNC connect, is a little difficult if they are not very tech savvy. VNC is by far the most flexible tool to control remote computers. So far I haven't found anything yet. I like all te features. Cross platform integration is by far the best. We need to to connect to a Mac from a windows 10 machine and VNC for the Mac was the best solution. "Great tool for support and remote desktop"
VNConnect (RealVNC) is an application to connect remotely with other computers that use a client or server that implements the VNC protocol, in my case I used RealVNC for everything since it was included in the license. Personally I found it a very useful tool that allows a very good quality of visualization without consuming much bandwidth and also running smoothly, this is something I could not achieve using other remote desktop applications so I obviously use RealVNC whenever possible. The management of the application can also be done through its website where we can also configure the equipment that uses our license or check our profile and billing data. I recommend that before buying the product you make use of the trial version that RealVNC offers on its website, there are 30 days in which you can check the operation of the application without any limitations. I also recommend that if you have problems with the connections check the firewall because in some version of windows there may be problems if you have your firewall configured to block all traffic. Due to my work I need to connect remotely to different client or family teams to perform technical support tasks or repair problems with their operating systems, with this application I can help them quickly and without being physically present. "VNC, SUPPORT CLOSER TO YOU"
I do not like it, you have a maximum of three attempts to enter a remote PC. I do not like it since you have to wait for the regulatory time of several minutes to pass and then enjoy the same, in that lapse of work, client and credibility, likewise I can continue working, but the response times in this aspect are not very good ones. It is a totally guaranteed tool, to work at any time, I recommend it so that you can use it in your work environment, you will see that it guarantees the security of it.
" Remote experience with VNC"
What I like most about VNC, is that you can access the computer that enters a local network without having Internet. Being the remote access without internet connection the experience is much faster. What I dislike, is the way of configuring the client agent and the server agent, it is a bit more complicated to install both packages, to be able to access the equipment. My implementation was to install both server and client on all the computers in my network, to access all without major inconvenience. I would like you to improve the file traffic speed between connected devices. With the help of VNC, I solve problems in remote departments at my workplace without having to be in the place of the problem. simply the IP address of the computer that I am going to access is enough to have connection with the equipment, since in my implementation I configure a password that gives me the access without needing the person to grant me the access. "Recently switched from competitor...and I'll never go back!!!" RealVNC makes the process very simple and easy to understand. The application allows me to keep a list of all the users I need to support in my office which makes connecting much quicker. And VNC Connect is a fast and secure method of remoting into my desktop from outside of the office. What I love the best is that I can use this on Linux without any special modifications. It just works! I have been using RealVNC and VNC Connect for some time and have not found anything I dislike! VNC Connect works with Linux, is simple to use and incredibly secure using two factor authentication. I expect that I will be a long term subscriber with RealVNC and do not ever see going anywhere else! The problem I was trying to solve is being able to remote into my Linux desktop from the outside world. Not only does RealVNC solve this problem easily, it is also affordable! "the tool with multiple connections"
"Very happy with how everything is working"
Very user friendly and easy to use. The app runs well and connects well whenever its being used. Very happy with have it has worked out for me. I use it for my greenhouse business so I can connect to the greenhouse controls computer and then can change and look at things from anywhere, instead of always having to go to the computer. Its especially nice when their are alarms. I can check and see if its a big problem or if it can wait. I would get a call to my phone saying their are greenhouse alarms and not be able to know what it is but now I can connect and see. "easy to use , simplicity , reliable"
"Real VNC works ! " Simple to use, fast connections, reliable. Rather expensive service, although worth the cost to me. As a radio engineer-I/T Manager, I often require fast secure remote connections. Real VNC satisfies my requirements. "Easy to use. Good value for money"
Easy to install and easy to use for both myself as the IT bod, and for the companies general PC users. I can remotely access PCs for maintenance and show and tell with good speeds and stability. Company personnel can access their PCs, especially handy for moving money around in the banks over the holidays. The cost is good value for money. There is not much to dislike about the software. It's user-friendly and simple to access from either my home PC or on my phone with the mobile app. The company has 3 sites some 60 miles apart. Using this software saves me a lot of driving, which in turn saves the company money. I love the ability to remotely control a number of PC's. I prefer direct access as opposed to cloud access and RealVNC Enterprise edition fits the bill perfectly. I wish screen control lag could be reduced more, and audio please! Able to help co-workers remotely who are less technically savy. I can control the screen and can watch what I do. "VNC is easy as ABC"
I'm the defacto IT guy at my company. It's an add-on job, and I like to spend as little time as possible doing it. VNC has been running for at least two years with no complaints, and no interaction on my part. At this point, nothing. I don't use it, but if there were issues, I would hear about them. Mostly, it's a benefit to our managers to be able to work from home as needed. One manager is a single mom, and uses it the most. School delays, cancellations, and sicknesses are less traumatic. "Easy to use and reliable connections"
Haven't found anything that I dislike as of yet. End user desktop support. Saves time on small customers by keeping me from driving to their site for trivial tasks. Real VNC was simple to install. In fact it comes preinstalled on Raspberry Pis and it was very easy to enable it and begin using it. I work for a startup in California and we are working with a partner company in Germany. I can login to our computers in Germany from anywhere: my laptop at work, my iPad at Starbucks or even from bed with the cell phone (big time difference). I have had no issues and have been using VNC for over 6 months. I would highly recommend it to anyone that needs simple, reliable remote access to a Raspberry computer. I really can't think of anything that I dislike about this enabling technology. I have significantly reduced the need for international travel with the use of VNC. Easy to use and reasonably priced; customer service is excellent! "Works decently, a little slow on the refresh (mainly due to protocol more than anything else)"
Software works, connects me to machines in different locations without the need to be physically present. Viewing the machine without locking it (as RDP does) is very helpful for the user if they need some guidance. The remote connection can lag pretty badly. This makes the usefulness level go down a bit since the experience can get choppy. Test out Microsoft's RDP and TeamViewer solutions as well as this. They use similar protocols but do things a bit differently, depending on use case. "VNC Connect solved my remote access needs "
Following Apple's withdrawal of their flaky Back to my Mac application I started to test other commercial options. I chose VNC connect as it was easy to install and delivered a stable fast solution. It is a little more expensive than I would like but since it delivers I cannot really complain too much. Providing stable fast access to my office computer from home or across the globe. Simplicity, setup once, and from that point forward, it's one click and you're connected. Doesn't work on my ver. 1.0 iPad :-) ... honestly, I don't have any complaints. I'm not a tech person, but apparently don't need to be. RealVNC does the job, and hides the complexity. Connect with my desktop from another room in the house, when traveling from anywhere in the world - all with one click. The ease of using the application in my working environment. Nothing. Even the price was good in comparison. The other workers in our clean rooms can use it to gain access to other PC's out of the clean room. "Easy to use remote connectivity"
Works just as well on Windows and RaspberryPi. Getting files from the remote machine could be more intuitive. I use RaspberryPi based production testers for a circuit assembly that is built in Mexico. RealVNC allows the remote upgrade and monitoring of the test systems. "Flexible affordable VNC that works well from many Devices." I like that it reasonably priced per computer that you need to control. I can control from smartphones, tablets, and Windows, Linux and Mac computers. As a technical support person, I like having the Instant support option to help out our customers and it forces them to help us install software so they are aware of what we are installing. It needs to allow mixed connects at a reasonable price also. I could use a few direct connect licenses, but to move up to the next tier is too expensive for a small business that has a small profit margin. Installation process could be made more clear by adding a video tour of installation and setup steps. A Glossary of term could help newer users understand concepts better before they dive into setting it up. Try out the demos version to see what tier you need to start with. We have customers that we need to install and setup & configure barcode scanning software on their computers. The Instant support license allows us to easily do that. It restricts us from installing unless the customer helps us, so they know what we are installing on their system. (Professional) Owner approving payments from his smartphone. "Much better and cheaper than our previous remote support tool"
We use VNC connect to support a number of home based users. It's so quick and easy for us in IT and the end user to start up a remote session, and very straightforward when in the session. "clear design, fast service, stable, fair prices"
The clear useabilty is one of the most things i love at realvnc. I´ve switched from another application and i ´m very pleased with it. This at lower pricepoint is a huge timesaver every day. Because of my differnt plattforms i know that it´s a big point. that all works without crashing.I don´t like, that i had to pay for my additional private Rasperry pi´s wich are only for smart home . It feels on my i Pad like a windows / Full Mac experience, so that this takes the 12.9 iPad to the next level of using. What is really usefull is that after the session the workstation is not log out like my last solution. This a the next timesaver wich i really love. it´s almost perfect for me, but i only use it for about 3 Computer in a small business.I don´t like, that i had to pay for my additional private Rasperry pi´s wich are only for smart home . I use it for a ceantral printing station and on the road to get connected with my mac. Even on my iPad Pro 12.9 it is a great advandtage to get connected and work really well on my Mac, not even for emergency puposes. This is a much less expensive solution against buying my printing software 3 Times if i use it only once semmless. "Easy to use for our clients"
The ease of the program. Doesn’t take a rocket scientist to use it. Licensing is annoying unless you use the free version. Being able to fix an issue with a users email account or settings on a pc in another school within the district. "Excellent software for remote desktop access"
I just purchased a Professional year subscription and love the easy way to work with RVNC, for sure I recommend it 100% for remote desktop access. I like it to be secure, very easy to use and offers a very fast connection to my office PC's Desktop. Sometimes the software tell me that RVNC is not currently istening for Cloud connections and I have to ask someone to close and reopen the VNC Server in my office's PC and the problem is solved, but hope there is an update that can solve that problem. Check prices, security and reliability of all the possible suppliers and you will see that RVNC is the best option, It is ver easy to use and runs very smoothly. If you want a reliable, secure and fast remote desktop connection software, RVNC is for you. I connect to my office computer from home or business trips with my laptop. I don't have to be at my office or call a colleague to get information from my PC, I can easily connect to it via RVNC and get the information I need right away. "Simple to use interface, and extremely cost effective"
It is extremely simple to send the link and the nine digit code and have instantaneous access to the remote computer. It is much more cost effective than LogMeIn and TeamViewer. I can't think of anything I dislike about it. Being able to remotely access workstations reduces physical travel time immensely. It is also huge to be able to send a link and have it work every time without any glitches. "Great but could always use some work"
The ability to connect to users in a separate office via the internet with no tunnels needed between offices. Also love the team view of all my machines with the ability to rename them. Saving passwords is nice as well with the new viewer. Also the interface seems to be a bit more modern which is always nicer on the eyes yet everything is still easy to access. I dont like that the new VNC connect/viewer perfers the WAN connection over a LAN connection. Have many machines on a LAN and also a MPLS connection that used to go over those pipes instead of going out to the internet and then connecting to the remote machine that way. Also i wish the VNC viewer was bundled with VNC Connect so that we could just install one package on each machine opposed to 2. It is nice for our users to have the viewer on their PC in case im on their machine and need to login to another machine from that users desk. Way better and easier to use than other solutions that provide RDS services over the web. This allows for local and remote use without the need of tunnels between offices. Also opposed to RDS, the user can see what you are doing which makes remote support much much easier. We had an office in PCB FL USA that was hit hard by the last storm. We were unable to get an internet connection with static/public IP addresses so VNC Connect fixed the remote support problem by using the internet for VNC and not relying on direct connections. "Use VNC to access & use SoildWorks on my Work Computer from anywhere." I like the ease of use, the ease of setup, and the simple way you use REAL VNC...it is almost transparent. It is a great way to collaborate with remote consultants and sub-contractors. It is very robust and secure. Well if there is anything to complain about REAL VNC it can be the cost. If they could reduce the cost it would definitely be appreciated. But at the same time what you get for the cost is very acceptable. If you need to access your work computers through a cost effective secure virtual network VNC is the application for you. "A must have for traveling business professionals"
Being able to log into my office computer from literally anywhere in the world is a dream come true. I can't emphasize enough how useful this is while on the go. And it couldn't be easier to setup. It's not easy to come up with a critique because the program truly does work so well. In fact, I can't think of a single one! Don't hesitate. Your only regret will be that you didn't start using this awesome tool sooner. I'm able to perform tasks on my office computer (such as running our print program) without physically being at the office. When an issue arises and a colleague needs my assistance, I'm able to quickly address the problem from wherever I'm at. 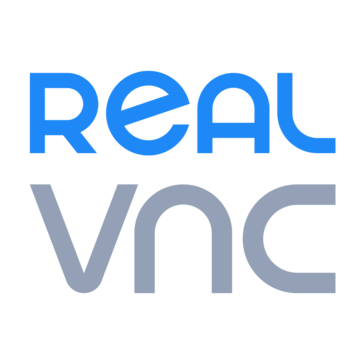 "Real VNC - our experience"
There are so many positives, ease of use, low cost and reliable.We use it to enable our remote engineers to complete paperwork on line at our head office . this means that all paper work can be completed the same day and speeds up the process of invoicing our clients. The connection is always stable and we have never had a dropped connection, other than when its been at the fault of our ISP. nothing to dislike at all, it is very easy to use and gives a reliable and fast connection. The price suits our budget too.The set up was very easy and pretty much idiot proof. We did have a small operator issue right at the very start, but this was rectified instantly by using the online help facility. It enables us to have seamless connectivity with our remote based engineers. "Easy to use and set up"
I love that I don't have to be in the office to work on a company computer. It's easy to get on the office machine from home. It was easy to setup, but the office staff would've had a hard time doing it. No real complaints, but if I hadn't used one of these products before, I'd have been confused which piece of the software I needed on which machine. Use the trial period to evaluate, then purchase! Our Accountant works remotely regularly, eliminating his need for a commute, while the computer, and associated company data can remain in-house. It's easy to install, very fast, and the ability to use it on tablet or phone... invaluable ! Should be able to change group on the application when transitioning from trial version to the licensed one. "No other remote desktop app compares VNC Connect"
Simple, easy to use user interface. Reliable connection and easy cloud & lan set up. Some of the simple changes are classed as "expert" and overly difficult to locate. For example changing which monitor/screen you want to display on remote screen, while not too difficult to do, would be something that I would like to do more readily, as a quicker menu option. There is no better remote desktop software in my opinion. It's versatile, easily scalable and comes with a ton of useful features. Remote control of our screen A/V system. Allows anyone to connect to the system internally or externally to the network and troubleshoot issues easily and readily. We have a comms room with multiple mac mini's in the distribute images to projection, TV screens around the building and to our IMAG system. We can connect from anywhere in the centre to amend, control and set up images. Without this we'd spend all day running between locations to make simple changes. Quite simply, it's saved hours of my life! With Real Vnc I can tap into my work from home without actually bringing it home with me. I design large CAD assemblies that require a lot of space. Trying to transfer files from one system to the next is time consuming. With Real Vnc I just log into my system and I'm off and running right where I left off. No hassles to deal with. I can't say there is much to dislike about the software. It's user friendly and simple to access either from home or on the go with the mobile app. Now if I could utilize my space mouse from my remote computer that would set this software on top. Highly recommend this product if you are looking for a secure remote software. Being able to pick up my work right where I left off is the best part about it. Like I said before, large files don't transfer easily so Real Vnc makes things much more managable. "Reliable software and excellent service"
I like purpose-built software best, and RealVNC falls firmly into that category. Their policy settings are straightforward and easy to manage, once support gave me the analogy of using the cloud location as a map to the building and using group policy or local settings as the doorway in. These lines can get blurry in other packages, but not here. RealVNC is really easy to deploy and showing our teams how to use it has been a snap. They are also transparent about security and care a great deal about maintaining a high standard there. The cloud management portal could show a little more information (like when the last connect time was) and it is not aware of computer names being recycled, so one does have to manage stale computer accounts. These are smaller offenses IMO, and their support added changes to these to their suggestion box. If you're happy with no-frills, purpose-built software that is stable, then RealVNC is an excellent choice. Not to many unexpected hobbies with this stuff! Confirmed access, where users allow our connections, with a few exceptions. Outstanding customer service and support and ease of use. "Intuitive interface plus a solid connection"
The fact that RealVNC has such an Intuitive interface to navigate and set things up as well as a solid internet connection makes it a WINNER every time. RealVNC has great customer support. They make it easy to set up and execute. What is not to like? RealVNC has great customer support. They make it easy to set up and execute. The business issues that we have solved are remote server administration. "It just works! Simple remote connections"
With VNC our IT staff can assist end users or connect to unattended workstations and interact directly as if they were at the console--seeing exactly what is on the screen. In addition, the connections are fast! Installation and setup within any environment is quick and simple, and does not add overhead. Recent improvements to the product include a viewer interface that allows you to retain a directory of connections, making it even easier to support hundreds of terminals. There is not much to dislike. We have been using RealVNC for at least 10 years and have no complaints. Our IT department can support remote branch employees while seeing and interacting with their computer exactly as it appears to the remote worker. They are logged in, and can interactively work through issues--all through a very simple to administer solution. "Fantastic customer service on top of a great product!" Not only does Real VNC cost substantially less than their competitors, it is extremely easy to install and use. The customer service was excellent, with Richard answering my queries quickly and in detail through email and telephone conversations. The restrictions for access to certain computers is fantastic. Such a simple idea but very useful where sensitive data is concerned. There is also no cap on the number of users that can be registered in my "Team" which is ideal for the work I conduct. We have many users that require off-site access to our facilities. I enjoy the different teams that can be set up - this allows me to quickly add users to have access only to the correct computers. Current versions not compatible with older Linux operating systems. I would recommend getting in contact with a representatitive at Real VNC as I had a pleasant experience with lots of helpful advice. The trial is a great idea to see if Real VNC will work for you. When we purchased the subscription it was a seamless transition. We use multiple computers for the operation of imaging machinery in a clean facility. Weekly Quality Assurance checks are required and can now be performed with a coffee at my desk rather than "suiting up" and entering the facility. This is very convenient and allows for a better Monday! We can give users remote access to a computer with specialist software for the analysis of their data. As our University is split into 3 different campuses, this means users do not need to spend time and money on travelling to our site. We can restrict access per each user, ensuring they only have access to the machines that they are permitted to use. This is especially useful for sensitive data. "Great utility for remote login"
Very easy to install and setup on both host and local machines. Stable connection. File transfer could be slightly easier with drag and drop between machines. Use VNC daily to connect from laptop to my main workstation. Allows me to access workstation, run simulation models and access results from any remote location, freeing up my laptop for everyday tasks. Very valuable utility when working at customer sites. The application works! Nothing complicated about connecting. Easy to navigate. New Beta app has amazing speed! The initial setup took some effort. Support was fantastic, but a setup script to handle router modifications would have been ideal. Unfortunately, the ease of using this product means that I can access important data from anywhere! There is no excuse for ignoring important job functions! As an application engineer, it is important to stay on top of projects, even when I am away from the office. A cost effective solution to our remote control/collaboration challenge. Nothing yet! Product's features work as advertised. Nothing to lose. Take advantage of the Free Trial! Remote control and collaboration for our development team. "Excellent solution to a development collaboration problem." Software is easy to deploy and setup with just the right amount of security features and options to make it secure but not overly so. Multi-Display features when using very large monitors are a bit tricky to get working properly. Was looking for a way to allow remote users to simultaneously log into a PC and collaborate. RealVNC addresses this issue nicely and affordably. "Very good remote connection software!!!" "VNC Works and is Affordable"
The product works and is affordable. Being able to respond to a request for help by opening up a VNC Connect session is priceless. No more unnecessary travel to the client's location for a 5 minute solution. Being able to have multiple sessions running simultaneously greatly improves efficiency. Nothing much has come up that I don't like. I started using VNC Connect last year when a client I had been working for a while needed more support as well as the ability to allow their staff to work remotely on occasion. I looked into the competition along with VNC Connect. I found that for providing remote support which includes installing software, managing updates and subscriptions as well as instruction VNC had all the features I needed and and had robust administration tools. All of my requirements have been fulfilled by VNC Connect. On top of satisfying the client, I also found VNC Instant Support would solve my own needs for supporting occasional and new clients. * We monitor all VNC Connect reviews to prevent fraudulent reviews and keep review quality high. We do not post reviews by company employees or direct competitors. Validated reviews require the user to submit a screenshot of the product containing their user ID, in order to verify a user is an actual user of the product. Hi there! Are you looking to implement a solution like VNC Connect?